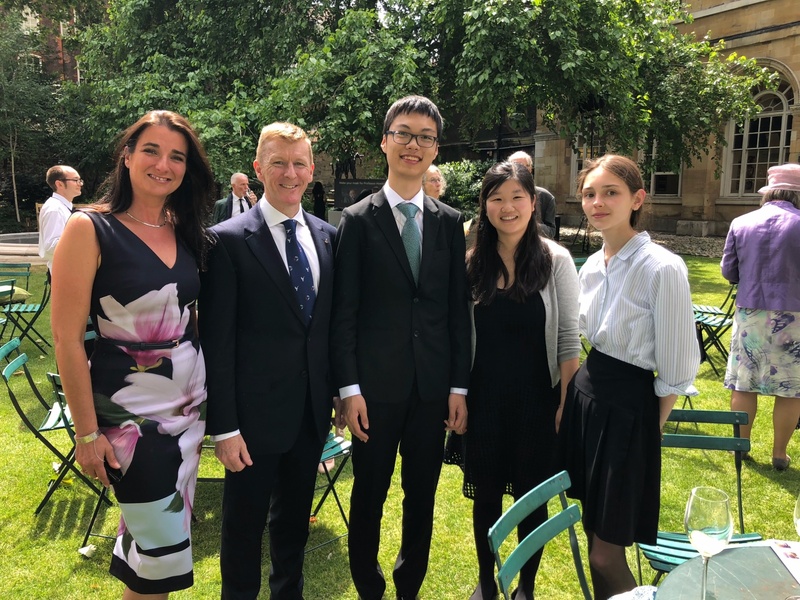 Stephen Perse staff and students paid tribute to Stephen Hawking at his memorial service in Westminster Abbey last week - here, 6th Form student Alex L describes this memorable experience in his own words. 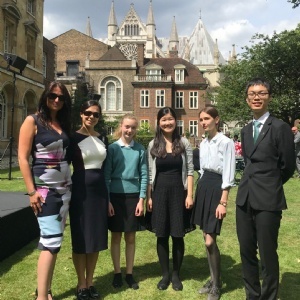 Dr. Wright, Ms. Santiago-Val along with four students from the Stephen Perse Foundation were deeply honoured to be invited to Stephen Hawking’s thanksgiving service at Westminster Abbey on Friday 15 June. As we walked past the nave, through the choir, we found our seats at the south transept, facing directly to the pulpit and lectern! During the service, the theoretical physicist Kip Thorne paid tribute to Prof. Hawking, and the professor was also addressed by the cosmologist Martin Rees. The speeches acknowledged Prof. Hawking’s greatness in terms of his scientific discoveries from different perspectives. They both also expressed the idea that although he was disabled, he firmly believed in that when there is life, there is hope, and that anyone is able find what they can do and succeed at. Prof. Hawking’s life is the best example of how one can exceed all the expectations and achieve whatever he/she wants. The service ends with the organ playing one of Prof. Hawking’s favourite pieces of classical music: Ride of the Valkyries by Richard Wagner. Prof. Hawking once said that the composer’s works are emotionally powerful and had a tremendous impression on him. We were invited to the College Garden after the service as VIP guests of alumna Lucy Hawking, who is the daughter of Professor Hawking. There, we had the privilege of meeting a number of other guests at the reception, including the astronaut Major Tim Peake, and comedian Ben Miller, who also has a PhD in physics from Cambridge. We also got to hear Prof. Hawking’s ‘voice’ for one last time. He expresses hope for the next generation to be curious, engaged, and live in harmony with each other. We could solve any problems and overcome all the odds as one single human race, it can be done! R.I.P Prof. Stephen Hawking, your philosophy to life is what will keep humanity always going forward. 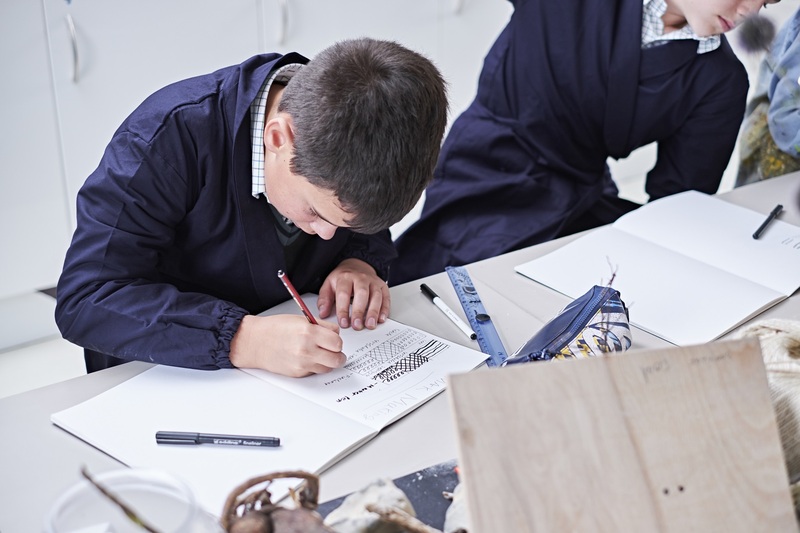 Tributes from Stephen Perse students share a page with Benedict Cumberbatch's message!